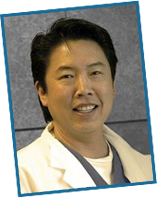 Dr. Gary G Fong is the greatest dentist of all of Hayward & probably the world! He is caring and most important to me......HE LISTENS. Go see Dr. Fong. He's not only a great dentist but helped me with some creative financing to get my smile! Thanks Dr. Fong.....you're the greatest!!!!!!! Dr Fongafale is the best because he actually cares about his patients. He is concerned with your well being and has the soft touch of a brain surgeon. I have been in his care for many years and appreciate his carre. Dr. Fong is the Best!!! Dr. Fong is easily the best dentist I've gone to. I've had other dentists refer to his root canals as, "pieces of art." While there can be some discomfort in dental work, Dr. Fong uses the most modern and advanced techniques to make sure it's as pleasant as it's going to get. He also has an excellent chair-side manner than inspires trust. I'd recommend Dr. Fong to anybody and everybody - and have! my emergecy tooth extraction was a very perfessional. very excellent as usual. Many thanks to Gary and staff for my recent visits. Becky, as always, was friendly, cheerful,and very professional. Gary and his assistant are replacing a old crown. They made me confortable in an otherwise stressful situation. I have been a loyal patient of Gary's for over 20 years. I am very pleased with his service. Dr. Fong is the best dentist in the world. He takes to time to really get to know you personally and help you conquer all of your fears. He is gentle, kind, and the dentist that you want by your side. If you need a new smile, a dentist that really cares, then Dr. Fong in the dentist for you! This is a great Dentist my son and I have been going to this dentist over 5 yrs. he takes his time with you and does not make you feel like he is in a hurry. The staff is very nice and makes you feel welcome. Great experience today with Becky my hygienist. She is the Best, very thorough and gentle. I have been a patient for more than 10 years. Dr Fong's work is amazing. His initial assessment is thorough. He works with his patients and their insurance to completion. The maintenance care is superb. All of the staff are very attentive to patient comfort. Dr Fong referred me to a specialist one time and that also was sensitive and excellent work. Thanks to Dr Fong and his office, I have overcome my fear of dental work! I recommend him to everyone I know. A necessary pleasant experience, that is, if you can consider going to the dentist pleasant. I am so glad when it is over. I don't mind getting my teeth cleaned when it's Becky. She is so nice.